Today I learned that MUNI is faster that a speeding flash camera! She loves the morning play session with the pack, While the adults focus on food or something a human is doing, MUNI bounces around the kitchen, biting tails, legs, ears, and necks. The photos snapped with a shutter speed of 1/60th of a second captured most of MUNI’s play. Unfortunately, her tail, legs, and ears are moving so fast that they look like they belong on a ghost! When she catches up with Mom, she’s vicious! But, Mom doesn’t mind. As you can see Zenith’s tail is wagging fast enough to be the ghost in this photo. 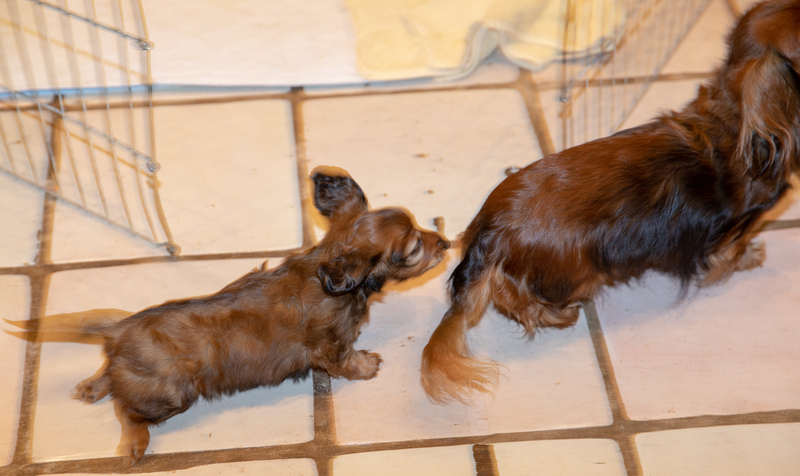 Of course, Mom is probably wagging the tail as part of her begging routine. Her people-pleasing style is transparent… and adorable.